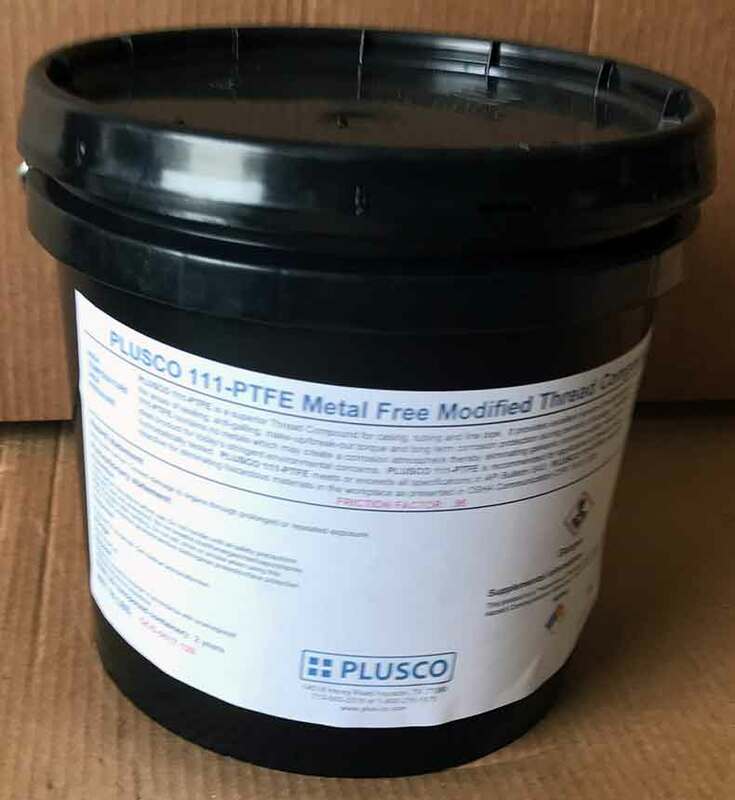 PLUSCO 111 PTFE Metal Free Modified Thread Compound has been designed to replace conventional API compounds which contain over 60% metallic powders. PLUSCO 111 PTFE Metal Free Modified Thread Compound was developed to address some of today's stringent environmental concerns. This non-hazardous thread compound does not contain any metals which may create a corrosive condition. 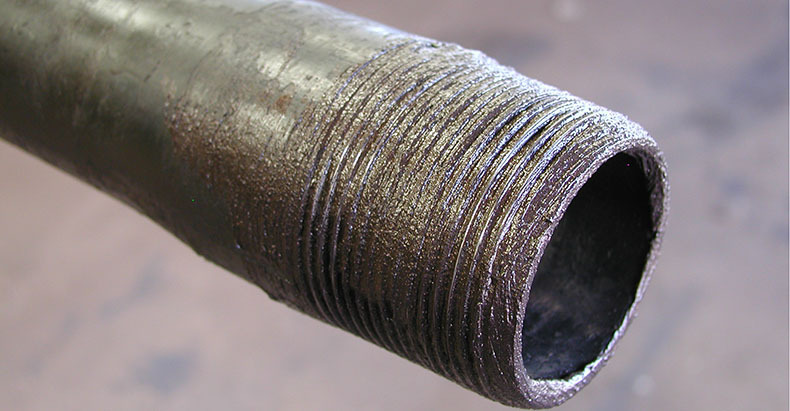 Thus, eliminating galvanic action commonly found in thread compounds which contain various dissimilar metals. PLUSCO 111 PTFE Metal Free Modified Thread Compound is not affected by hydrogen sulfide, salt, water or down hole chemicals, which commonly react with metals found in conventional thread compounds. This environmentally oriented thread compound provides ease of make-up and break-out on a wide range of pipe composition. or thread configuration. It provides excellent service performance in the area of lubrication. sealing and corrosion protection during periods of storage. PLUSCO 111 PTFE Metal Free Modified Thread Compound meets or exceeds the eight objectives torn thread compound as stated in API Bulletin 5A3. PLUSCO 111 PTFE Metal Free Modified Thread Compound is recommended for use on oilfield and water well tubing, casing, and line pipe. It also may be used for hydrostatic testing, storage, or as a running compound.